What are you intending to use the rifle for when using the moderator? i would recommend different moderators for different applications. the problem has now been sorted bu tikka anyaway . 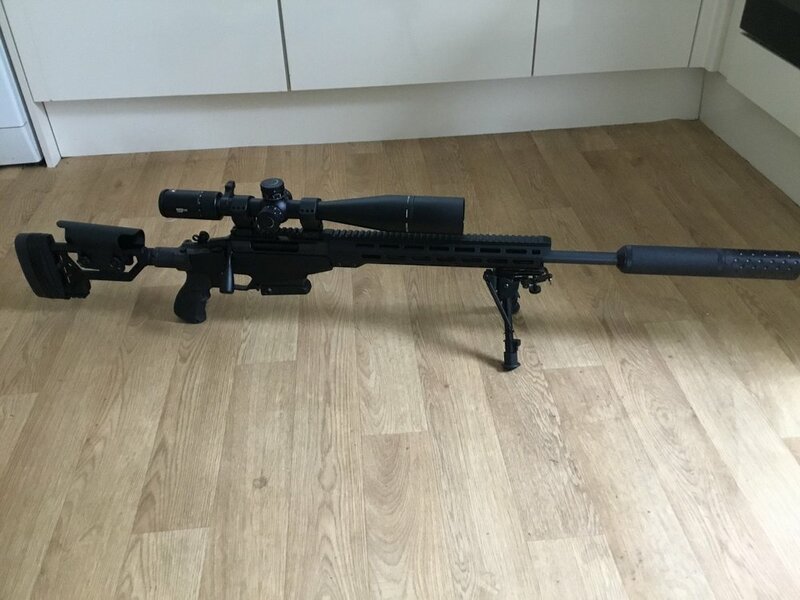 The above picture I’m my 6.5 creedmoor with wildcat Evo mod fitted . For range work I would look to get a muzzle mounted moderator. Over barrel moderators keep the heat in the barrel which is a consideration. As we know heat isn’t good for barrel life and also mirage when on range. I would be looking at the options from ASE Utra. Steel constructed sealed units that function very well. Noise suppression is excellent with the Jet-Z model I have been using for years. The SL range is stainless steel so a little more durable than the jet-z. You should definitely consider a muzzle mounted mod like scotch_egg suggests. I use a jet z compact for range use and it's excellent but my mate recently bought a ase sl7i mod for his rifle and I think it's even quieter. It's stainless as well which is a bonus. Looks to be a good choice.